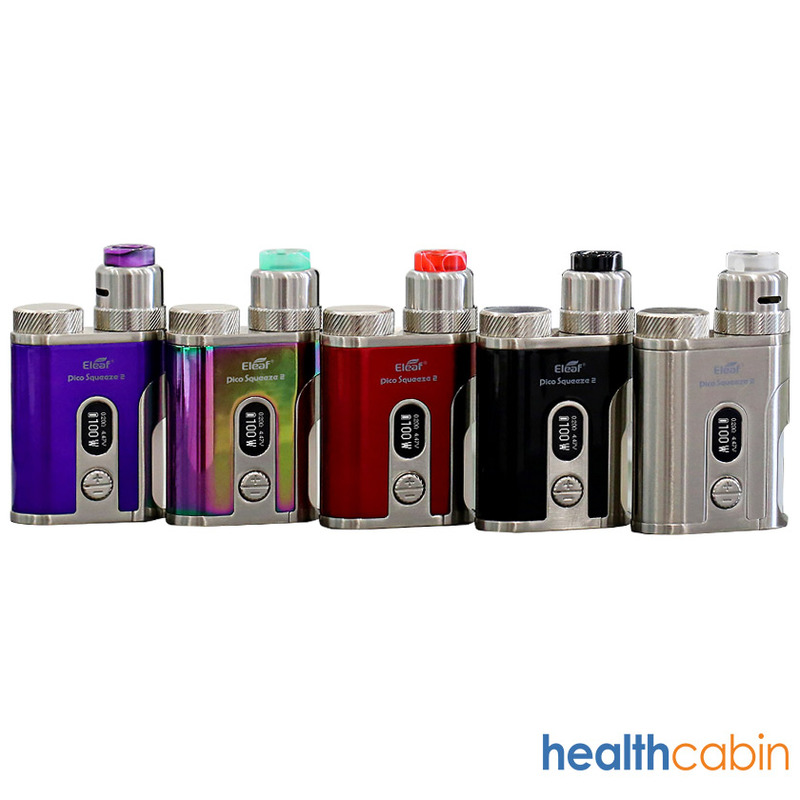 It is Powered by single 21700 battery(also fits 18650 battery with adapter), the Pico Squeeze 2 is capable of firing up to 100W maximum output wattage, available in temperature control and TCR mode. The Coral 2 RDA is a single coil rda with 24mm diameter, features a large build deck and unique crooked posts for easy to build coil. With a large regillable built-in 8ml BF Squonk bottle, the Pico Squeeze 2 100W Kit will satisfy you whole day vaping. Besides, there is also a colorful LED light inside the Pico Squeeze 2 Box Mod, when you fire the mod, the squonk bottle lights up with colorful LED lights.